Hand-crafted from sturdy calf leather, this glasses case is ideal for daily use or travel. It features our iconic intrecciato weave on the front and is detailed with hand-painted edges. 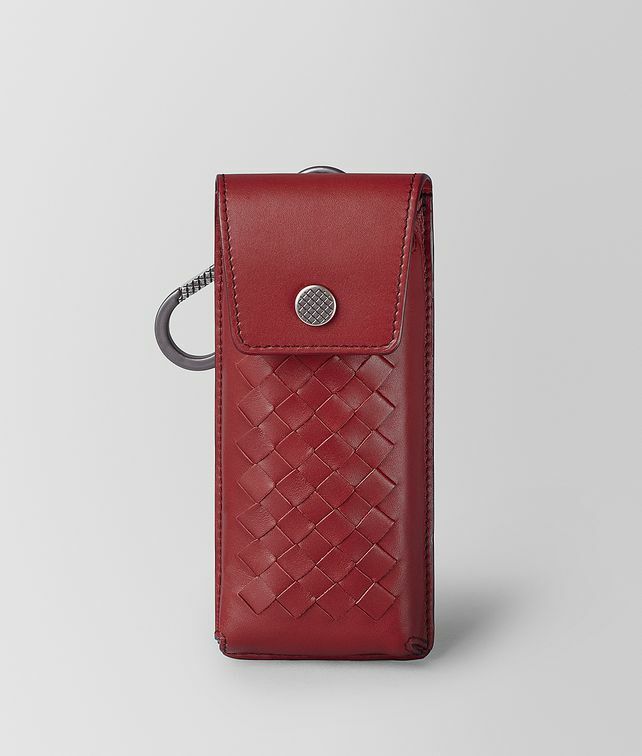 The case is finished with an intrecciato-engraved snap button with a hidden magnetic closure and a carabiner to easily clip it on to a bag or luggage. Lined with soft suede to protect the lenses. Height: 16.5 cm | 6.5""
Width: 7 cm | 2.7""
Width: 3 cm | 1.2""